Castillo de Coca is a fortification located in Coca, Segovia in the Castilla y León region in Spain. It was built in the 15th century and acts as one of the best examples of Gothic-Mudejar architecture. 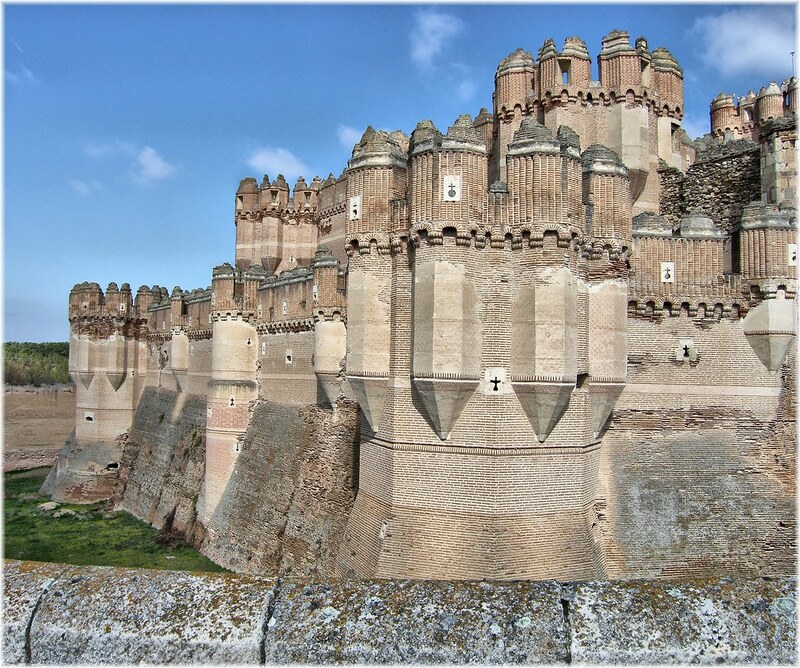 It is considered a national monument and one of the few fortresses in Spain that was not constructed on a hill. The castle’s construction was ordered by Alonso de Fonseca y Acevedo in 1473 and soon, it became a symbol of his wealth and he constantly hosted balls for important figures. Throughout the years, the castle was passed on to the male heirs of the family.